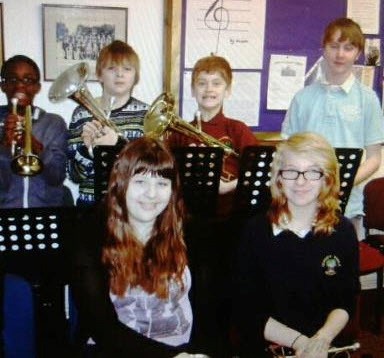 In November2012, eight very talented members of Skelmanthorpe Training Band made Skelmanthorpe Band history when they took their ABRSM Grade 1 Practical examinations. Each candidate studied long and hard to acquire the best marks possible and it is with an enormous amount of pleasure we announce that all our candidates passed their exams achieving Merits or Distinctions. We are exceedingly proud of our talented young students here at Skelmanthorpe and feel reassured knowing that our training programme is proving to be a success.